Is there a hidden Princess within you? A powerful Queen? Or a noble Lady? Aristos means best. Your Aristocratic Archetype is waiting to guide you into your best life. INSPIRITRIX is a treasury of long-lost women’s traditions we need today, based on timeless fairy tales, courtly customs and medieval mysticism. Take an enchanting journey: to claim the power that is within you, and a rich way of life we have forgotten. 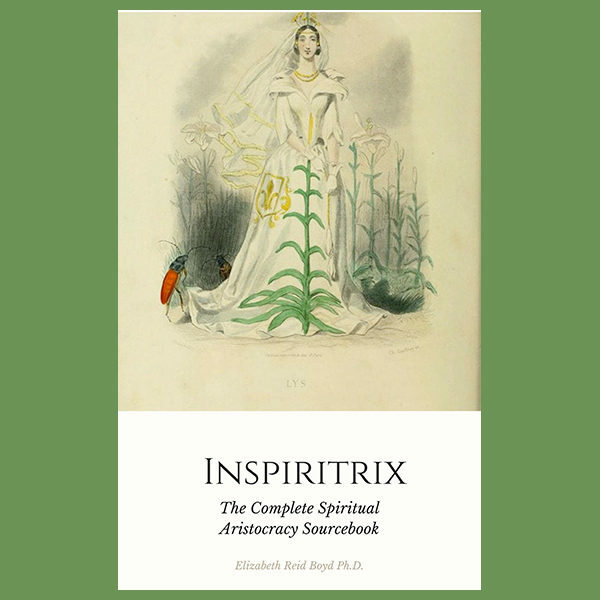 INSPIRITRIX: The Complete Spiritual Aristocracy Sourcebook contains The Real Princess, The Queen of the Castle, Lady Love handbooks and much more. Full of traditions, with a practical focus on how the Princess, Queen or Lady can apply them. Includes quizzes for the female and male Aristocratic Archetypes plus how they pair. INSPIRITRIX will transform your life by harnessing your inner strengths, skills and wisdom with centuries-old female lore. Inspiritrix… be ready to inspire.